Hollister, California is one of the premier locations for the one-of-a-kind Blenheim apricot and we are proud to be one of the few growers of this incredible fruit. A perfect way to enjoy these sweet, delectable cots is in dried form and The Farm Bertuccio's has a wonderful variety of these apricots perfect for gift giving, recipes, or simply snacking! Our dried apricots are tree-ripened, hand cut and sun-dried to sweet perfection! 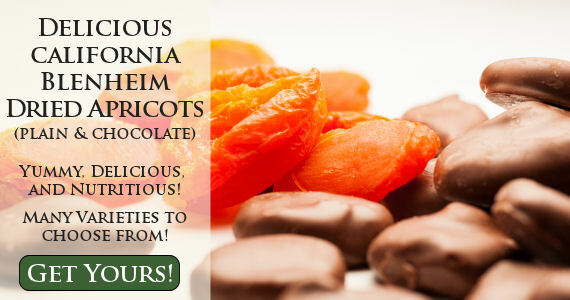 Try them for yourself....Click here to get these incredible dried apricots! Great Products You Might Like!